New Harbinger Publications, 9781572249684, 268pp. By inviting the Dalai Lama and leading researchers in medicine, psychology, and neuroscience to join in conversation, the Mind & Life Institute set the stage for a fascinating exploration of the healing potential of the human mind. The Mind's Own Physician presents in its entirety the thirteenth Mind and Life dialogue, a discussion addressing a range of vital questions concerning the science and clinical applications of meditation: How do meditative practices influence pain and human suffering? What role does the brain play in emotional well-being and health? To what extent can our minds actually influence physical disease? Are there important synergies here for transforming health care, and for understanding our own evolutionary limitations as a species? Jon Kabat-Zinn, PhD, is internationally known for his work as a scientist, writer, and meditation teacher engaged in bringing mindfulness into the mainstream of medicine and society. He is professor of medicine emeritus at the University of Massachusetts Medical School, founder of mindfulness-based stress reduction, and author of numerous books, including Full Catastrophe Living; Wherever You Go, There You Are; and Coming to Our Senses. Richard J. Davidson, PhD, is director of the Laboratory for Affective Neuroscience, the Waisman Laboratory for Brain Imaging and Behavior, and the Center for Investigating Healthy Minds at the University of Wisconsin, Madison. He is currently the William James Professor and Vilas Research Professor of Psychology and Psychiatry at the University of Wisconsin. 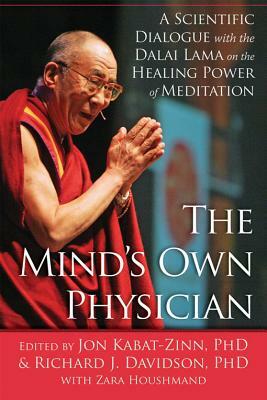 He has coauthored or edited over thirteen books, including Visions of Compassion and The Emotional Life of Your Brain. Zara Houshmand has worked with the Mind & Life Institute for almost twenty years as an editor for books representing its dialogues between scientists and the Dalai Lama.